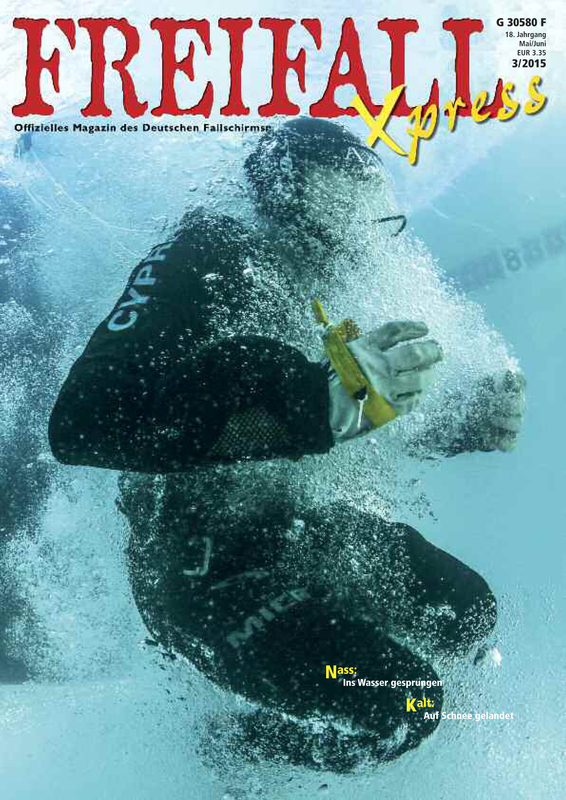 I would like to thank Peter at Freifall Xpress for putting one of the AXIS water training images on the cover of the June edition of the German skydiving magazine. The image was taken by Samantha Schwann – please click here to view the entire magazine. This entry was posted in Uncategorized and tagged article, AXIS Flight School, Brianne Thompson, cover, photography, Samantha Schwann by niklasdaniel. Bookmark the permalink.